Paisley's first photo shoot with Give me props Photography and "I'm having a garage sale on Saturday"
Life here at the reno ranch has been crazy, crazy, crazy since I last checked in. We have 3 major projects in the house and two outside! and I made this decision....YESTERDAY! I haven't held a garage sale in years....and never without my daughter April to help! But yesterday, she and Paisley were quite busy! Jennifer's business is called Give me Props Photography . If you get a chance, popover and like her facebook page! 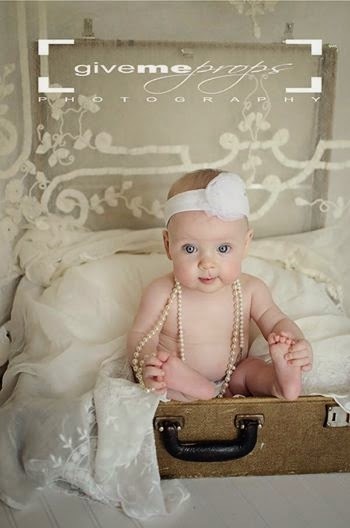 Here is a sneaky peek at Paisley's first photo shoot! 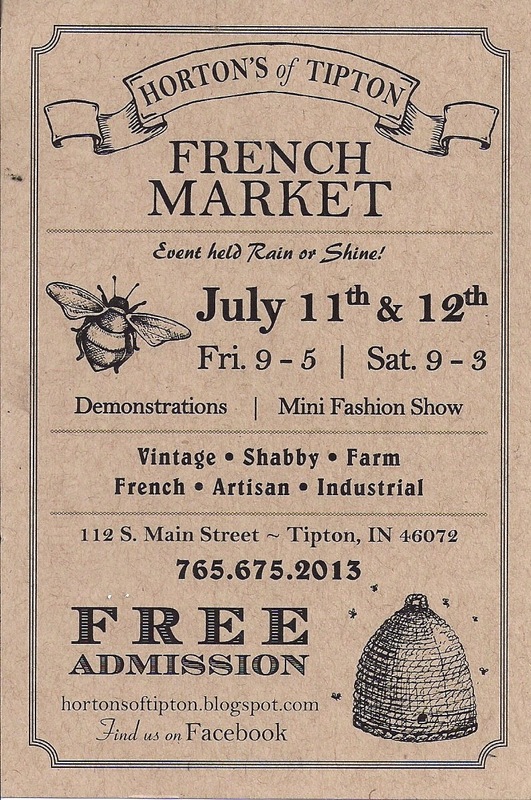 The French Market in Tipton. Have a wonderful rest of the week! I'm off to gather more stuff for the garage sale! Oh she's a doll! I'll bet you got so many great photos that it was hard to choose just one. Donna, I just melt every time I look at this photo. She is absolutely the most beautiful baby. Jenn had the best time with her and April. It didn't seem like work, but more like play time...she's such a good baby. Girl, you're gonna meet yourself somewhere coming and going...I swear! She's adorable! Beautiful photography work. Sounds like you're having a fantastic summer. I have been such an awful friend! How did I miss this darling picture of Paisley? My gosh---she's as beautiful as her mommy! (and her mommy's mommy!) What a blessing she is to your family. Don't you just love being a grammy??? I sure hope you are doing great Donna. Things here are fine and don't change much from day to day, so new news from here.